Use these planning calendars to map out your year. 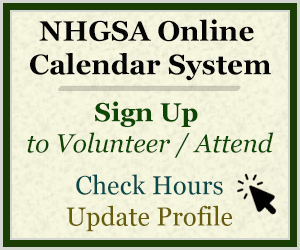 Note – you have to sign up via our online calendars to attend / volunteer. Welcome Center shift sign-up calendars are open through April 2018. May 2018 center calendars open February 1, 6am. ** The center calendars open at 6am when it falls on a weekday and open at 8am when it falls on a weekend or a holiday (thanks for letting us sleep in). 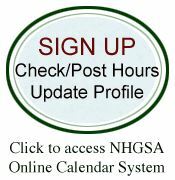 Events, meetings, and activities have their own designated sign-up dates/times. Visit the Current Volunteer Page for details.